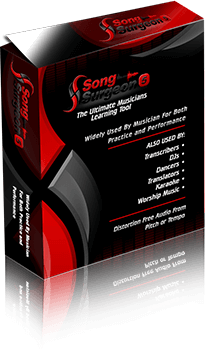 Song Surgeon was first released in 2007, and is now a decade old... From its first humble beginnings it has grown to be one of the most popular and valuable tools used by musicians – both students and teacher. At last count Song Surgeon has been sold in more than 120 countries worldwide – and by musicians that play 37 different instruments. Our newly released Version 5 of Song Surgeon takes the program to a whole new level with the addition of key detection, automatic beat detection, and chord detection. What that means is that when you open a song, Song Surgeon will automatically detect the tempo of a song in BPMs, in will determine the key signature, it will detect the chords – and it will display all of this information on the main user interface so you can see and use it. We know of no other audio slowdowner software that provides these three features in one program. And of course, that’s just the beginning. Here's just a sampling of what Song Surgeon can do for you! The chord detection features will detect the chords of a song and immediately display them for you to use. You no longer need to search for chords or tablature on the internet. Additionally, the Pro model makes these chords along with their time stamps available for printing so you can take them with you. Speed Trainer is a function within a looping area that automatically increases or decreases the speed of playback each time it loops, based upon our customized settings. You select a beginning and ending tempo – and a percentage change, and Song Surgeon will do the rest. Speed Trainer allows you to practice with increasing speed, thus enhancing your learning. The ability to create an unlimited number of loops with a single audio file means you can isolate and customize each of these looping segments individually, applying different keys, tempos or EQ’s to each loop..
You can transpose an audio file into another key in just one click, and then hear this change in real time, and continue to change key up or down until you get it just right. In addition, Song Surgeon's formant preservation ensures that there will be no chipmunk or munchikin vocals as you apply key changes to your song. In addition to opening most standard audio files, Song Surgeon also can open and strip the audio from most standard video files. Once you have stripped the audio from a video, it will open in Song surgeon and then you can save the audio in any standard audio format. Based upon the detect BPM of a song, Song Surgeon can create a 4 beat click track at the exact tempo of the song and insert it at the beginning of your audio file. By slowing it down significantly, without distortion, to any tempo that you prefer. Our surveys show an increase in learning of 2 - 10 fold with an average increase of 614%. Song Surgeon Pro’s 31 Band EQ allows you to provide laser-like control over the frequency changes applied to a file. It allows you to enhance specific instruments or sounds and diminish others. These EQ changes can be permanently applied and saved in a new file. While you can’t create a Karaoke type track from a final mixed track with multiple instruments, by using Song Surgeon’s VR Slider in combination with the 31 band EQ, you can diminish or enhance specific instruments within a mix making it easier to hear only that frequency or sound you are most interested in. Song Surgeon has basic editing and recording functionalities. While not built to replace high end audio software like Cubase or Pro Tools which cost many hundreds of dollars, many Song Surgeon customers find its more modest editing and recording features quite useful for many situations where pro quality editing or recording is not required. "I was using Cubase LE for changing the key and speed of a song. With Cubase LE there was distortion if the change in speed was large. With song surgeon there was no distortion. I use song surgeon to make karaoke discs." "I also love the fact that the sound is so clear even at super slow speeds. I have a Tascam CD unit for slowing down music and can tell you that there's no comparison. The Tascam unit is very distorted at slow speeds, which makes it more difficult to figure cut the notes." The new Song Surgeon 3 is astounding! I have tried similiar products over the years but none of them compare in features and functionality to Song Surgeon. This program is outstanding! Regardless of whether you are a performer that needs a simple key transposition, a musician practicing new material, or a worker whose job requires you to listen to a piece of audio over and over again, dissecting and looping that audio for slowed down detail, Song Surgeon is an absolute must have tool on your computer. With sound quality that matches - and in some cases even surpasses - what thousand-dollar studio quality software products can offer, it will save you time, help you lean more easily and quickly, and make you a better musician. Whether you are a beginner, intermediate, or pro, or whether you plan to use it for practice or performance Song Surgeon will allow you to change key and/or tempo with little to no distortion. distortion. Song Surgeon comes in two models: Standard and Pro. The Pro model contains all of the function we’ve discussed and more. The Standard model looks the same as the Pro but does not have all of the features enabled. In the top navigation bar on this page you will see a Std vs. Pro button, click this to see a comparison table of the two versions. 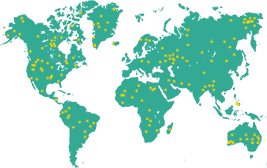 Our customers are found in more than 120+ countries spread across all continents. Check below to see if we already have other customers in your country. The level of tech support provided by the experts at Song Surgeon is first class. Thank you again for the splendid help to it going on my machine. A product is only as good as the company that stands behind it. 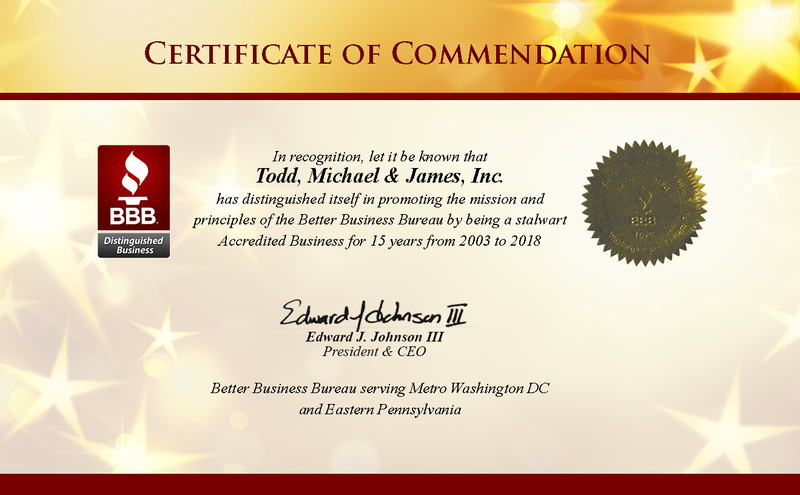 Todd, Michael & James, Inc., the parent company of Song Surgeon, has been marketing products on the Internet since 2001. We have an A+ rating with the Better Business Bureau. In addition to the BBB rating we have hundreds of testimonials from customers, not only about the quality of Song Surgeon but also about the quality of the service that we provide. Song Surgeon offers a fully functional 4-hour demo so you can test drive the product before you buy it. But beyond this we offer a full 60 day, 100% money back guarantee - no questions asked. In almost 10 years of doing business we have NEVER refused a refund. As a small company we recognize the importance of customer service. We have a full service Help Desk with a Knowledge Base, Download Links, Incident Support. And, as needed, we also provide phone support AND remote assistance. Time Limited Version of Song Surgeon Right Here! Whether you are considering Song Surgeon for one of the uses mentioned above, or for something entirely different, there is only one way to find out if it's right for you - Try It. You can download, install and begin using the DEMO version of Song Surgeon within 5 minutes. Song Surgeon is indispensable tool that is available at the surprisingly affordable price. Song Surgeon will have you feeling like you got your money's worth with just a few sessions of use, thanks to its incredible range of functionality and efficiency. Moreover, Song Surgeon does not have a recurring fee. Pay for it once, download and keep it forever! 1. On What Operating Systems Does Song Surgeon Run? SS V5 runs on Mac (OSx) and Windows. Specifically this is Mac 10.8 – 10.12 and for Windows XP – Win 10. Some of the machine on which the older OS’s are installed may not have sufficient resources to run Song Surgeon 5 well. 2. Will Song Surgeon V5 run on mobile devices? 3. What Are The Computer Hardware Requirements for Song Surgeon? Here are the suggested requirement for running Song Surgeon Version 5. 4. Why Does SS V5 Not Have A Sniffer Module in it like earlier versions? In the past, Google among others, have sued to block some products that perform downloading functions. However, it’s important to remember that many uses of copyrighted material are considered legal under the fair use doctrine to U.S. copyright law. 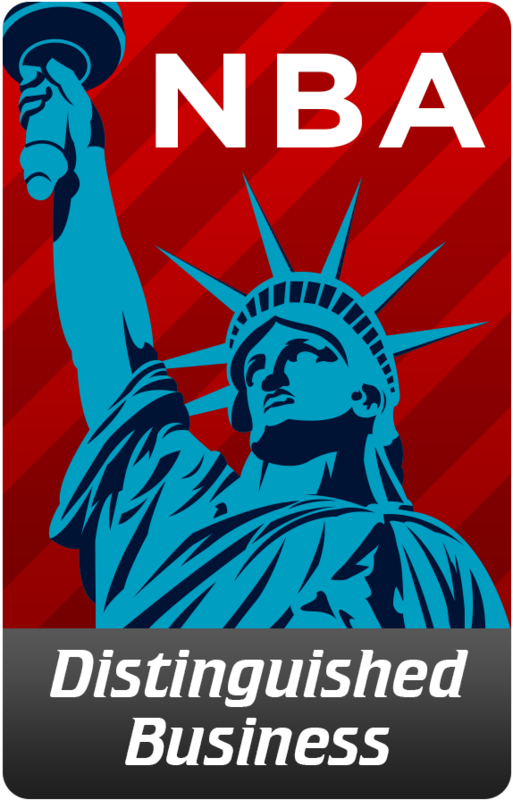 The fair use doctrine makes exceptions for non-infringing purposes like news reporting, research, education — or just for laughs. Consider YouTube’s first big legal copyright challenge, a 2007 video of a baby dancing to the Prince song “Let’s Go Crazy”. Universal Music Group, the copyright holder of that hit song, sued the baby’s mom for copyright violation. A judge ruled in favor of the mom and the baby, citing fair use. Two things have happened recently that concern us. Once is that Google has terminated one of our Adwords accounts citing the downloading module as the cause. Even more recently Google has sent a cease and desist letter to a company that sells a YouTube Downloader application, similar to what we provide in Song Surgeon. Because of these developments we have made a business decision to remove the downloading (Sniffer) modules from Song Surgeon Version 5. We have a similar module in our product Video Surgeon and will also be discontinuing it, when a new version of that product is released. Version 4 of Song Surgeon will not be affected by this decision and it will continue to contain the downloading modules. However, like all older versions of our products, now that a newer version has been released, it will no longer be updated. Accordingly if this downloading module ceases to function at some point in the future we will NOT provide support for it or fix it. We know that many customers use and like this downloading feature. What we have done is to consolidate the downloading module found in our other products into a single product called Download Surgeon; plus we have added additional capabilities. This will allow customers who want these downloading features to be able to access them, while at the same time, limiting our business exposure and shielding our main products, like Song Surgeon, from any adverse affects. 5. I see that my purchase entitles me to install on three machines. Can I share this with a friend or band member? The three licenses provided with your purchase are intended to be used by you or immediately family members within the same household, not friends, band members, co-workers, etc. 6. What Kind of Support is provided for Song Surgeon? Song Surgeon has a full service Help Desk that includes Incident Support Tickets, FAQ’s, Knowledge Base, Download Link and news. The Help Desk is always the first stop for support. Based upon the ticket information you provide we will decide how to handle your issue. We may call, correspond via the Help Desk, do a remote assistance session, etc. Standard model customers are entitled to 1 year of free support. Pro models customers receive two years of Support. This free support refers specifically to the use of Incident Support Sessions or Tickets. Customers are always welcome to use the Support Desk at anytime with this exception, even if their support period has expired. Customers may also buy Incident Support Sessions after their support period has expired or they may purchase an annual support contract to extend indefinitely this support period.